Uterine fibroids are noncancerous, benign growths of the uterus that often appear during childbearing years, usually between 20-55 years. Also called leiomyomas (lie-o-my-O-muhs) or myomas, uterine fibroids are not associated with an increased risk of uterine cancer and almost never develop into cancer. So, what causes uterine fibroids to grow? 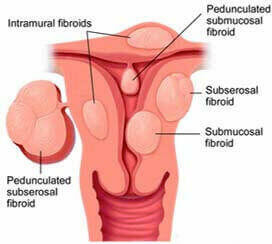 Uterine fibroids develop from the smooth muscular tissue of the uterus (myometrium). A single cell divides repeatedly, eventually creating a firm, rubbery mass distinct from nearby tissue. The types of fibroids and growth patterns of uterine fibroids vary — they may grow slowly or rapidly, or they may remain the same size. Some fibroids go through growth spurts, and some may shrink on their own. Many fibroids that have been present during pregnancy shrink or disappear after pregnancy, as the uterus goes back to a normal size. The various types of fibroids range in size from seedlings, undetectable by the human eye, to bulky masses that can distort and enlarge the uterus. They can be single or multiple, in extreme cases expanding the uterus so much that it reaches the rib cage. 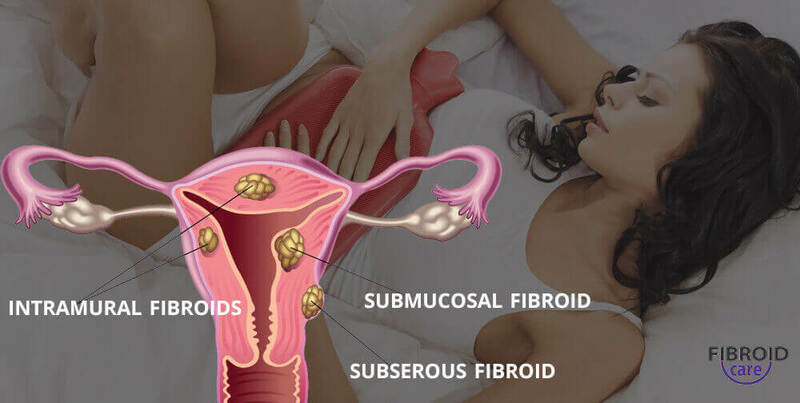 As many as 3 out of 4 women have uterine fibroids sometime during their lives, but most are unaware of them because often there are no symptoms of fibroids. Your doctor may discover fibroids incidentally during a pelvic exam or prenatal ultrasound. 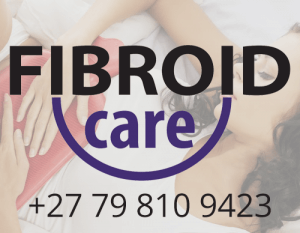 Most fibroids cause few problems and do not require treatment, but they may become progressively symptomatic.